Gingivitis can be uncomfortable for the sufferers and the people around them Plaque and gingivitis work together to give you bad breath. Whether you’ve noticed it yourself or had a concerned family member point it out, you know the discomfort and embarrassment that can result. The good news is that All Family Dental Care offers numerous treatment options. Dr. Colleen Tracy & Dr. Ron Tracy can explain to you how to treat your gingivitis. Getting rid of the root cause usually helps with the bad breath, but what about in the meantime? There’s a lot you can do to freshen your breath, much of it in the kitchen, with no expensive pills or gadgets necessary. Simply dissolve the salt in the water and add extract to taste. 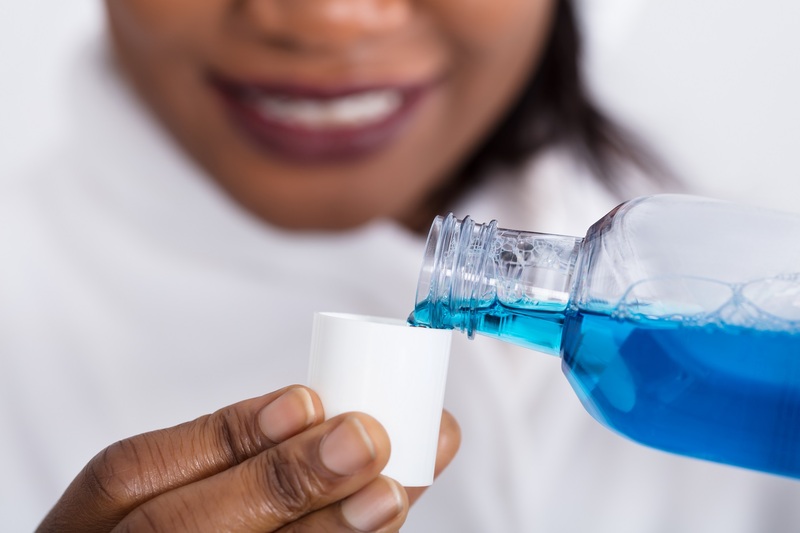 Keeping your teeth squeaky clean will help banish odor and gingivitis-causing bacteria. Dentists recommend you brush your teeth after every meal. If that sounds like too much, try building up to it. Go from brushing daily to twice a day, then next weeks add a third time, etc. Chewing foods like apples, celery, or gum work to clear food debris and plaque from your teeth. It may also make your breath smell fruity and pleasant. If you love to chew gum, make sure it’s a sugar-free brand. Water literally flushes gingivitis-causing bacteria out of your mouth. It’s also linked to numerous health benefits, from clear skin to improved concentration and appetite control. With so many good reasons to stay hydrated, there’s no reason to skip your eight glasses a day. Sage has been used as a powerful anti-inflammatory for centuries, and it can help treat your gingivitis. Try rubbing crushed fresh leaves or the powdered version onto the infected areas of your gums. Leave it on for a few minutes, rinsing it out if your mouth gets irritated. Turmeric is a powerful antimicrobial spice, used for centuries in traditional Indian health cures. The old method is to make a paste of turmeric and water and brush with it. For a more modern take, simply eat more of delicious foods like curries. If you have concerns about the health of your teeth, or your bad breath is stubbornly still there despite trying these home remedies, it’s time to call in the experts. At All Family Dental Care, we can help you keep your gums healthy and your smile white. Contact us today to schedule your next checkup.